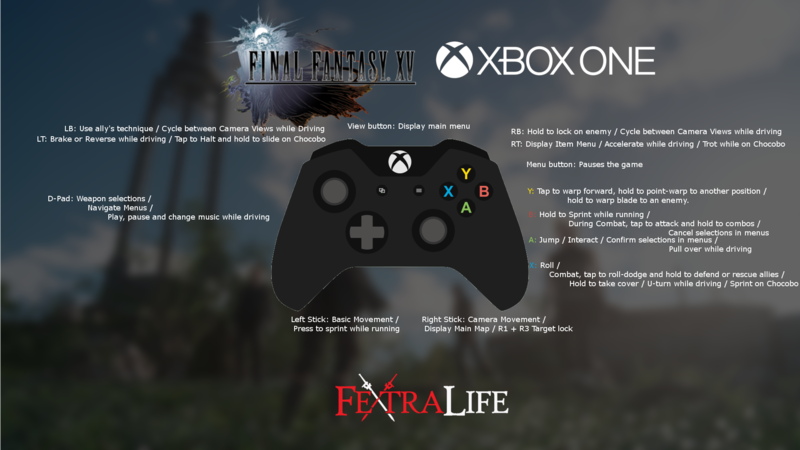 Controls for Final Fantasy XV are covered on this page. 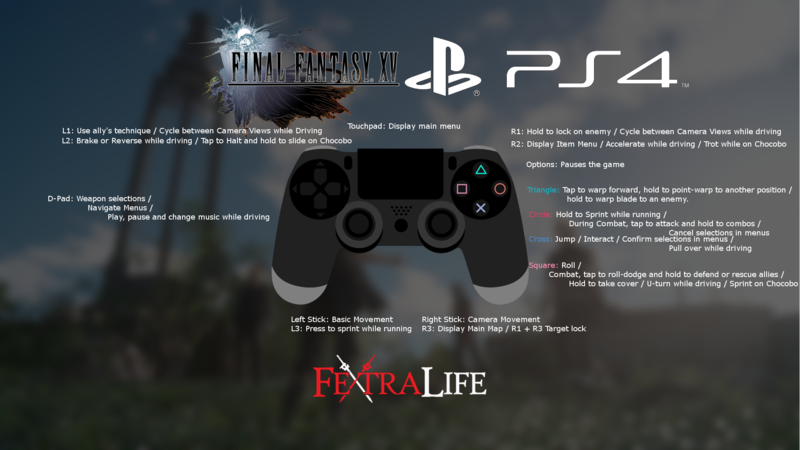 The default control scheme is listed here. Players can choose between 2 presets from the Controls menu in the game, but the game's controls are not customizable at launch.